The annual Christmas Lights Parade will start an hour earlier, at 5 p.m., to allow people to attend other events. The wonder of the holiday season will be on full display Saturday, Dec. 1, when the annual Christmas Lights Parade is set to roll an hour earlier than usual, at 5 p.m.
"We are moving the Christmas Lights Parade start time to 5 p.m. this year to accommodate other community events that same evening," said Joe Krenowicz, executive director of the Madras-Jefferson Chamber of Commerce, which sponsors the parade. Since the annual Madras High School Drama presentation, "A Christmas Carol," will be held the same evening, at 7 p.m., at the Madras Performing Arts Center, Krenowicz noted that community members will have plenty of time to attend both events. In the past, he said, "The community has had to decide to participate in or go to the parade, not take the kids to visit Santa Claus after the parade or rush to the PAC to round out their evening." "Selfishly, we want the parade to be on top of everyone's list to participate and enjoy, and then off to the MHS drama presentation, dine out or attend various other events in the area," Krenowicz suggested. The theme for this year's parade is "Old-Fashioned Christmas." Prospective participants can pick up an entry form at the chamber at 274 SW Fourth St., in Madras, or call the chamber at 541-475-2350 to have a form emailed. Participants are expected to line up at 4 p.m. near the Madras High School tennis courts. The parade will wrap around Sahalee Park. 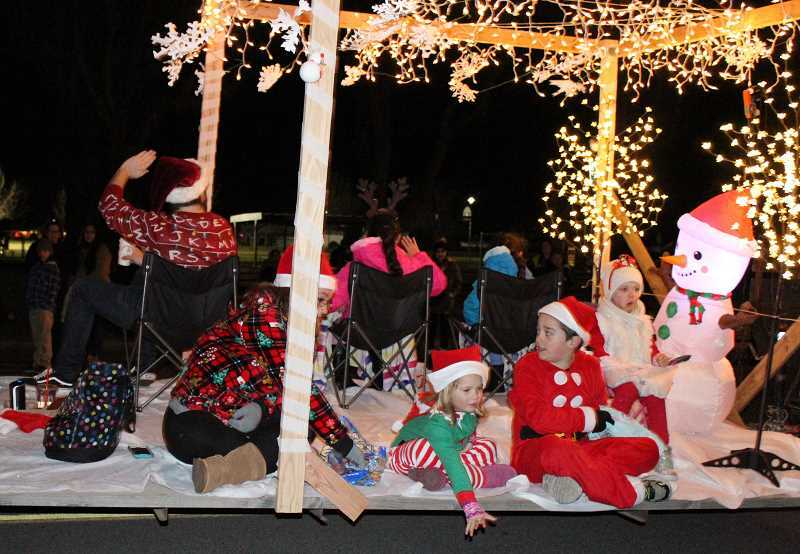 Krenowicz praised local business sponsors and individual sponsors, who make the chamber's Christmas Lights Parade and Santa Stop in Sahalee Park's pavilion all possible. "I'd like to remind all the parents and grandparents to bring the kiddos to Santa's stop right after the parade to have a hot cocoa and visit Santa Claus and Mrs. Claus," he said.